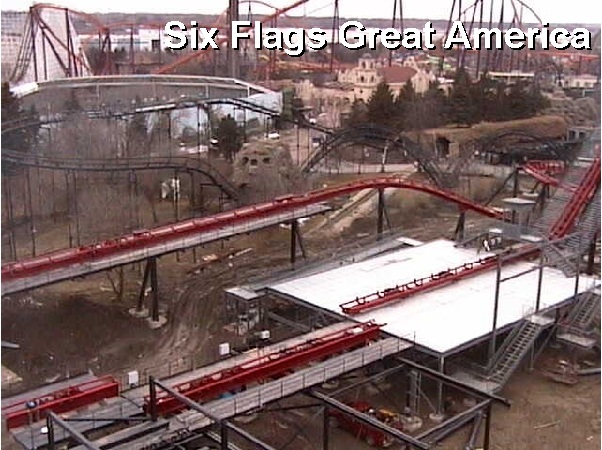 Discuss Great America's NEW Wing Coaster for 2012! I really like the mentioned "special effects" (such as the fog) I can really tell this coaster will be amazing and an all time high for SFGAm since it's been like what, 7 - 9 years from getting a new coaster? That keyhole feature will still be insane! Yes! The video makes it look intense and as if it won't go through in time! The keyhole fit through was the most ridiculous part of the announcement. Six Flags had a whole list of all the announcements for the whole day. That was the coolest feature out of everything presented. I love the coaster layout basically forms a X and it's so much different than Wild Eagle. Wild Eagle could easily be any other B&M sitdown, floorless coaster. That loop and corkscrew though are really adapted for the wider trains. The construction cam positioning is now optimal. The Immelmann is about to be done in the face of viewers of the cam this week. Hey, it(Wild Eagle) has the B&M roar just like Great Bear! They are lightning quick installing X-Flight. Yesterday the immelmann was finished. Today up to the second g-roll afterwards was completed. 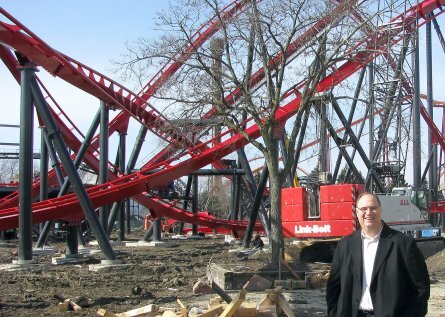 According to this news article in the local paper, the ride will open May 5th. My pleasure for sharing and hope others do as well. I too was surprised with the opening date, but who knows. No problem! I'll keep you guys updated with the latest of X-Flight news when there is more to come! Great, thanks. Do you live in the area? How far are you away from the park? I do agree with Tom, thanks so much for sharing this info and these updates with us! It's you and other people who help contribute and make ALT a huge success and we really do appreciate it! To get excited again, let's look at an animated POV shall we? WOW - Those are amazing pics - thanks for sharing. Can't wait to see the testing videos - 2012 is turning into an amazing year. 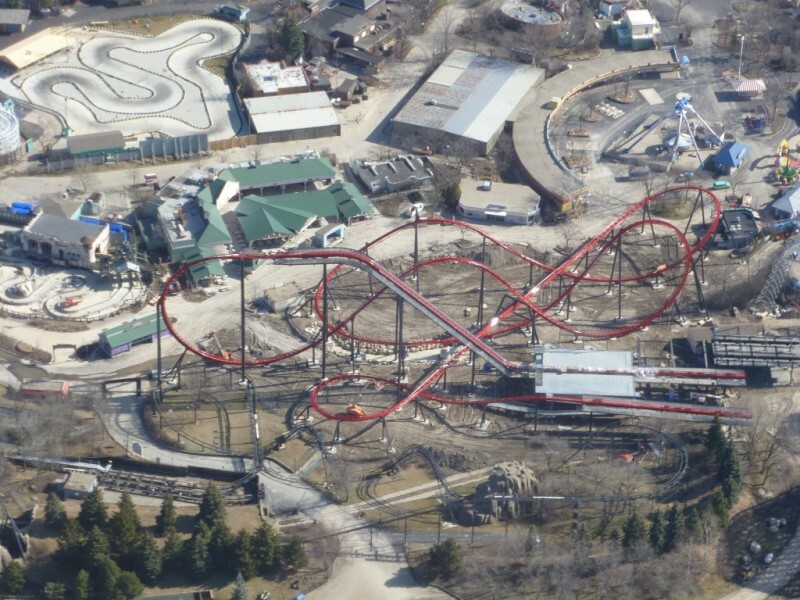 I'm not the only one that thinks X-Flight looks a lot better than Wild Eagle, right? 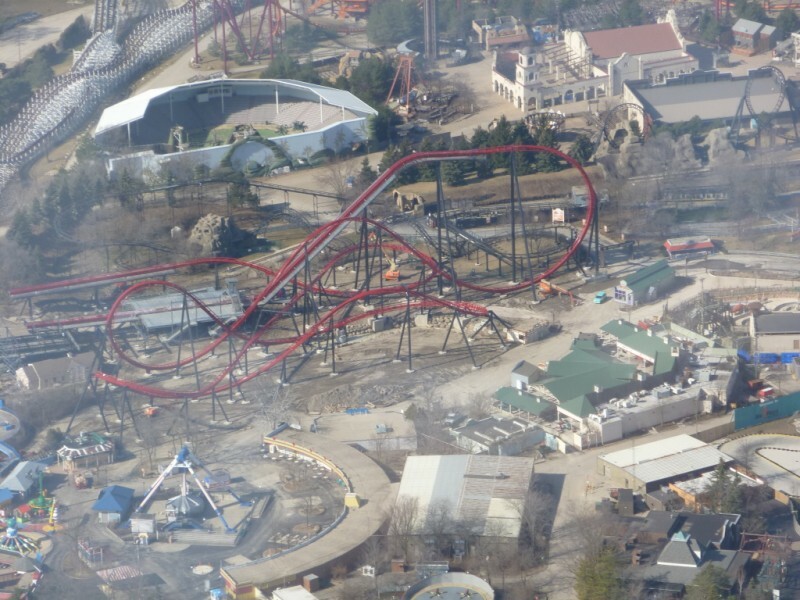 I think X-Flight looks GREAT and possibly more thrilling than Wild Eagle. 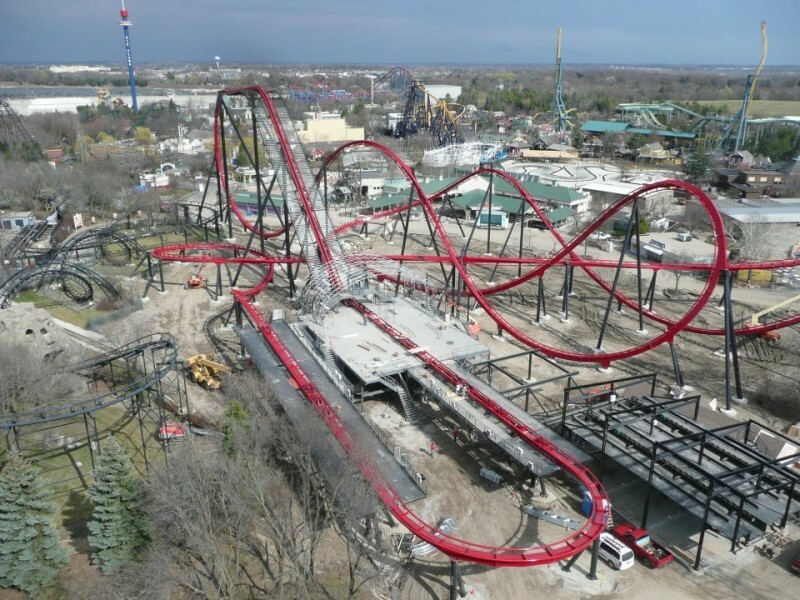 When we see some testing video or when the ride opens, we'll learn a lot, but at first glance, Wild Eagle is more visually compelling, but not as good X-Flight. 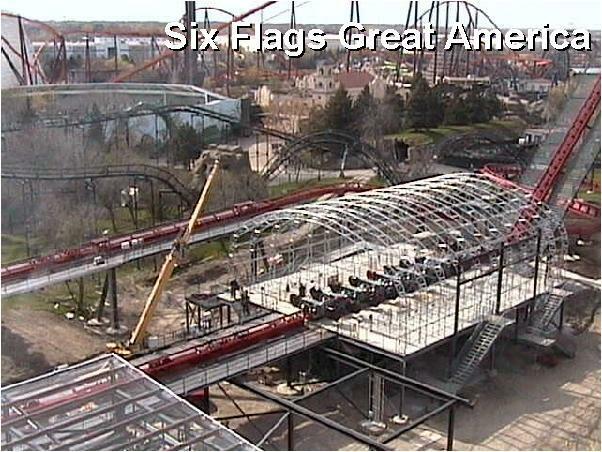 The web cam has moved, track is complete, and work has started on the station. I have to say the ride is looking VERY good. Can't wait to ride this May! After seeing Swarm and Levi, I'm getting less excited about both and even more excited about Skyrush. This is a very short interesting video of what appears to be a high school student interviewing the PR Director of the park. 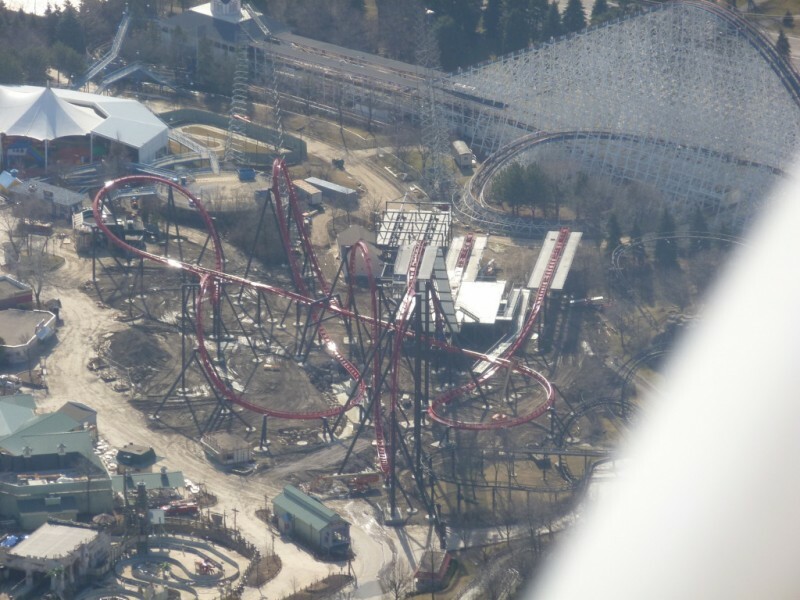 What makes it interesting is the ride is opening one week early for Season Pass holders, and then opening the following weekend to the general public. EIGHT CARS ON TRACK! :O TESTING MAY START SOON! I dont know how to put the pic from the webcam on but the roof is put up and they are looking at the trains like they would be getting ready to test . 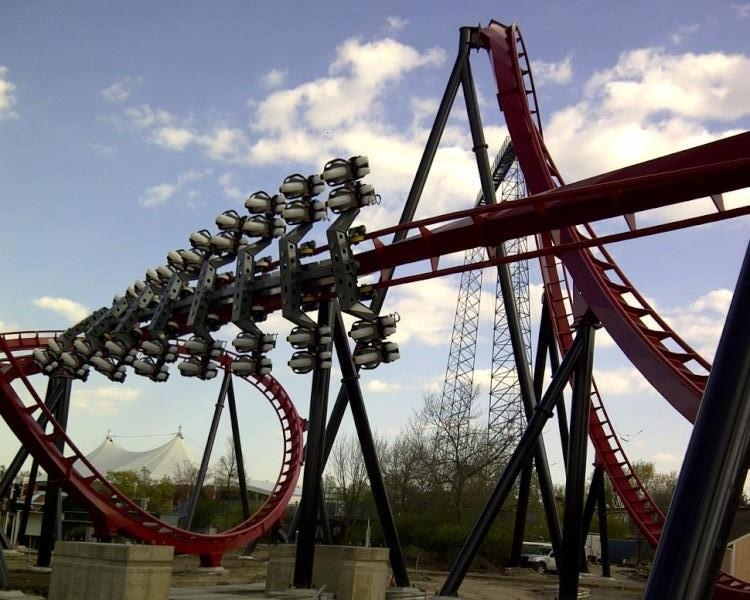 Unless they pushed the trains back words I believe x-flight was testing! WOW - Thanks for sharing - GREAT video and can't wait to see it when all the elements like the key hole are in place. WOW - Great pics - thanks for sharing. Wow, the color looks great. It really pops. Wonder weather this will be much different than Swarm. They look pretty similar. I am definitely more in love with Skyrush - hands down !